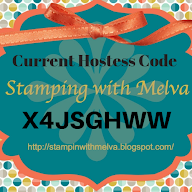 Stamp with Melva: Welcome Baby! It has been a long time since I've posted, although that doesn't mean I haven't been stamping. 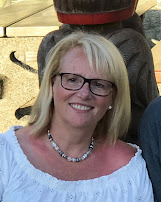 I've been busy travelling for work and also getting ready for a class with some friends yesterday. We had a great day stamping! It's so much fun when you get together with friends how really enjoy stamping. More than one told me they were so excited when they got up knowing that we were going to make some beautiful cards. This is definitely all about "sharing what I love"! I thought I would share a baby card that I made today. My next door neighbours are expecting their first child - they already know it's a boy so I decided to make a card for them. I love how this turned out. I used the "Packed for Baby" stamp (Item 125672) from the new Stampin' Up Mini. It's a little hard to see, but the duck and the rattle are "popped up". I also used silver Waffle Paper to add a ruffle around the image. It's a great way to add some easy embellishment to the card - it comes in silver, gold and white. Will try to share more of what I've been working on over the next few days.